Ever felt like an outsider? Ever felt like doing something crazy just for someone you’re in love with? Then Sing street might be the perfect movie for you to watch. Stranger things is THE tv show that got us all nostalgic about 80’s but it’s not the only work of fiction released in 2016 that is set in the 80’s. Sing street is a movie that cannot be simply put in a category, it’s a mixture of several genres that beautifully complement each other. The closest thing I could come up with when describing this movie’s genre would be coming of age musical drama with elements of comedy. This semi-autobiographical movie, directed by John Carney talks about a young boy Conor growing up in Dublin during escapes in the 1980s, who encounters love for the first time while struggling with dysfunctional family and bullying at school. His interest in music, influenced by his older brother and love for the beautiful aspiring model Raphina he sees every day after school, lead him into creating his own band, consisting of misfit boys that become friends. 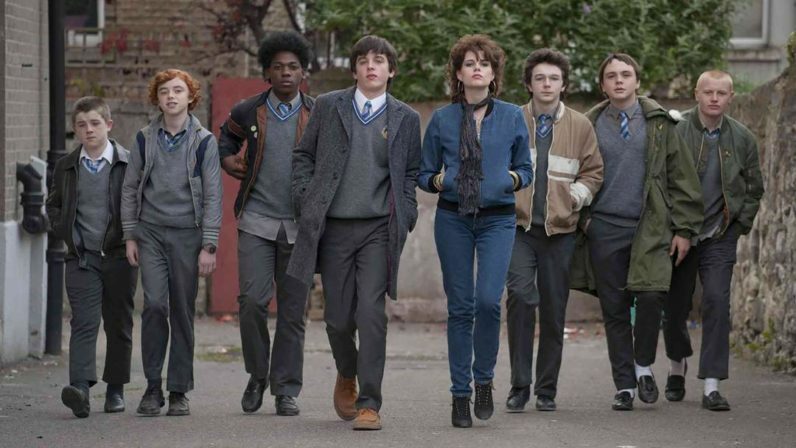 The band, named Sing Street after the school boys attend- Synge Street and defying placement in one genre just as the movie itself, makes music inspired by bands that marked an era such as Duran Duran, The Clash, The Jam and more, under the guidance of Conor’s older brother Brendan. Songs, composed by Conor and his bandmate Eamon, reflect Conor’s views on love, bullying he has to go through at school and what it’s like to let go and be yourself. They are accompanied by amateur music videos starring Raphina and the band. Talented young cast shows they’re a force to be reckoned with and confirms that the new kids on the block are ready to take over Hollywood and the movie comes with melodies that will definitely be stuck in your head for a while. Sing street is not just a movie or name of a fictional band. It’s a stage everyone goes through in life. Stage in which we, for the first time ever, deal with perplexing feelings of love, understanding of sacrfices our family had to make and the question of who we are as individuals.